CreditPilot is a fintech company with roots and competences in telco and banking industries; our platforms are built to deliver long term business value to partners and clients. CreditPilot provides complete digital finance ecosystem that facilitates retail and banking sectors as well as helps MNOs and MVNOs to provide financial services in high demand from their subscribers. Any2Any platform – enables MNOs & MVNOs to provide financial services to their subscribers. Proven and benchmarked tool. Start bringing revenues in 2 months flat. FinQubic platform – core banking platform on demand. Modern, inclusive, flexible and fully managed – it ensures your bank’s focus on business. (Re-)Launch your bank’s services in 2 months. CreditPilot PLC is a fintech operator and holding company of financial regulated and IT specialized entities. It’s payments and transactional ecosystem enables MNOs and MVNOs, on-line and off-line retailers to provide digital financial services to their clients, making banking and insurance products accessible and affordable. CreditPilot goal is to facilitate global financial inclusion. 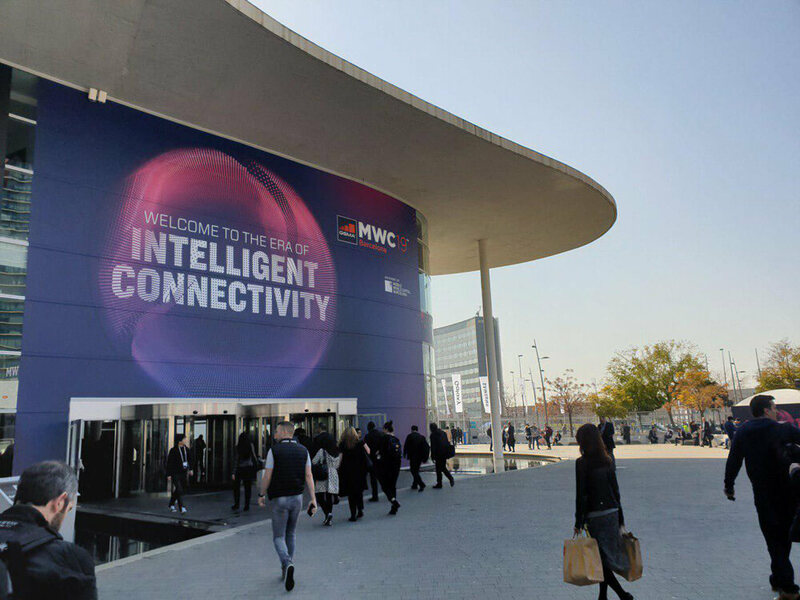 An industry shaping event for telecom world, MWC’19 have drawn to a close on 28th of February in Barcelona. “This year we have seen further discussion on application of 5G by the telecom industry and implications on both subscribers and a variety of related initiatives, such as IoT, M2M interfaces, telemetry, smart anything, etc” said Kyrillos Akritides, CreditPilot CEO. “While we do appreciate both infrastructure innovations and consumer mobile novelties, we are of the opinion that telecom industry, at large, continue to ignore more real, instant earning opportunities, such as finance VAS - Mobile Financial Services (MFS). 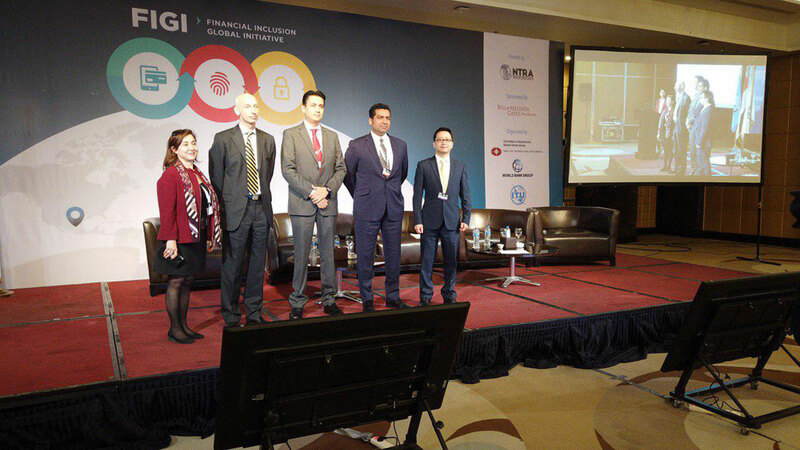 FIGI (Financial Inclusion Global Initiative) symposium- take-aways for MFS and DFS providers. FIGI (Financial Inclusion Global Initiative) symposium - take-aways for MFS and DFS providers. "ITU FIGI symposium is an important, noteworthy forum of international community of regulators, policy-makers, humanitarian organizations and other stake-holders discussing the ways to make financial services universally accessible”, - said Kyrillos Akritides, CreditPilot CEO. “Excellent points have been made on eKYC and AML, cyber-security, great examples on proliferation of DFS core-values, interesting cases and statistics presented by both, regulatory representatives and by non-profits from markets were financial inclusion is a current, hot topic. CreditPilot digital payment ecosystem is very much in-line with current community demands, and at some points, where it concerns practical implementation - even exceeding these. CreditPilot is to take part in FIGI Symposium, held by ITU, World Bank Group, with support of Bill & Melinda Gates foundation in Cairo, Egypt, 22-24 of January. 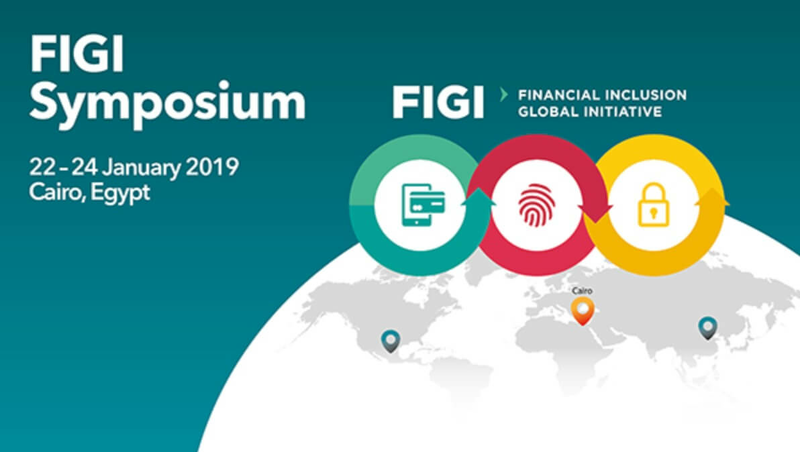 “FIGI Symposium promises to be an exceptionally interesting event, especially for CreditPIlot, with our agenda on financial inclusion and experience in both fintech and traditional banking”, said Mr. Kyrillos Akritides, CreditPilot CEO. “Considering our platforms’ capabilities, that enable MNOs and MVNOs to provide essential financial products and services to their clients, notwithstanding type of the mobile phone that subscriber uses, we feel that we may contribute valuable experience. In the first days of New Year CreditPilot PLC received confirmation of becoming a member of United Nations specialized agency for information and communication technologies – ITU. "Apart from allocation of radio spectrum and satellite orbits, developing and confirming standards, ITU is committed to connecting people throughout the world, wherever they live. CreditPilot agenda is very much in-sync with this: we thrive to bring financial inclusion and access to comprehensive financial services to every person in the world. On a tactical side, all of our current and future clients, MNOs and large MVNO’s are ITU members, and I believe, that having a single forum for communicating and sharing our ideas and financial platforms for telecoms is of paramount importance. We are looking forward to participating in the major ITU events like FIGI (Financial Inclusion Global Initiative) along World Bank Group, CPMI, Bill & Melinda Gates Foundation, as well as delivering our vision and technology on the subject matter" said Mr. Akritides, CreditPilot PLC CEO. It was a second consecutive year of CreditPilot taking part in the event. This year’s annual conference hosted by Caribbean Association of Banks was held on the island of Bahamas. It was a second consecutive year of CreditPilot taking part in the event. "This year is much more fintech’y, than the previous one. We do feel an active interest from the banking community, and we also feel traction from the other potential market players," said Kyrillos Akritides, CreditPilot CEO. "With single currency across most of the countries, high level of unbanked and underbanked population, natural separation of the islands – a "banking-light" infrastructure, has a number of instant benefits. 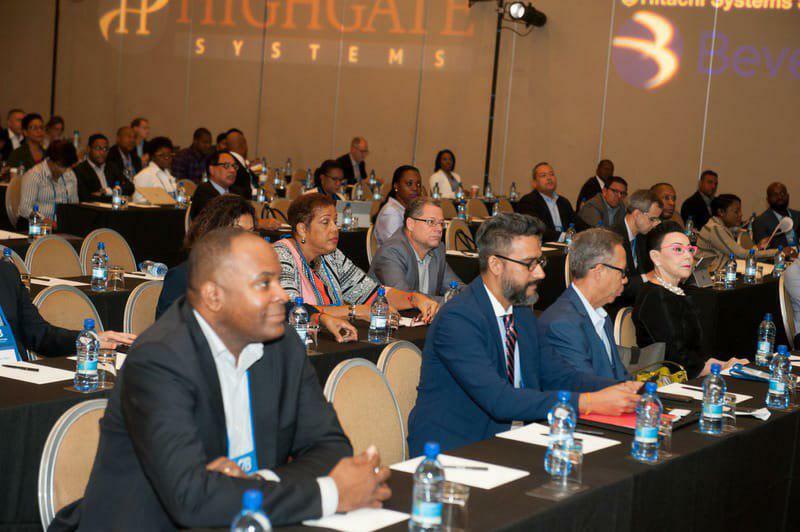 While regulators and fiscal authorities will relish money flow transparency and control, ordinary people of Caribbean will enjoy possibilities of having an account, being able to transfer funds without paying unfair fees, and, generally, enjoy security and opportunities that financial inclusion brings. By now we are much more confident with establishment and growth for our B2B2C digital payments ecosystem in Caribbean region. Whether with active engagement of locally present MNO’s, or just using most basic mobile network features and simplest mobile phones, we are ready to consider deploying our platforms to provide people with essential banking products: account/wallet, remittance, utility payments, to include people of the Caribbean into financial ecosystem." One of the most influential events in financial industry turns 40 years old this year. For the 2nd year in a row CreditPilot is taking part in Sibos. "For CreditPilot this is a unique opportunity to meet all the current banks and remittance partners that our regulated companies work with, as well as with key vendors, such as Temenos, IBM, discuss and outline plans for the oncoming year", said Kyrillos Akritides, CEO of CreditPilot PLC. "On SIBOS 2017, in Toronto, several initiatives were introduced in compliance area, and this year there is much discussion on the successful implementations in several major institutions. Also, with major vendors investing heavily into modern transactional infrastructure, SWIFT strives to become more innovative and technologically advanced provider, as well as to branch-out from pure transactional business into services arena, regarding, it seems, compliance space as a key growth opportunity. SIBOS is a "must be" event for financial professionals. Central banks, major correspondent institutions, fintech companies - they come together to exchange news, find partners, discuss current issues, and all this happening in an extremely well-organized manner, in very dynamic environment. This very moment we already have several very interesting co-operation opportunities coming both from banking sector and from IT vendors. We are already booking for next year Sibos in London", concluded Kyrillos. 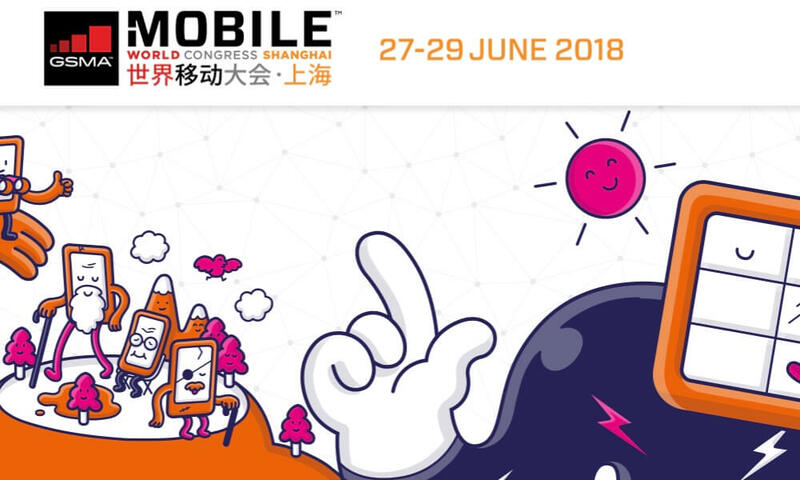 CreditPilot PLC is to participate as an Exhibitor at the Mobile World Congress Shanghai, which will be held June 27-29, 2018 at the Shanghai New International Expo Centre (SNIEC). 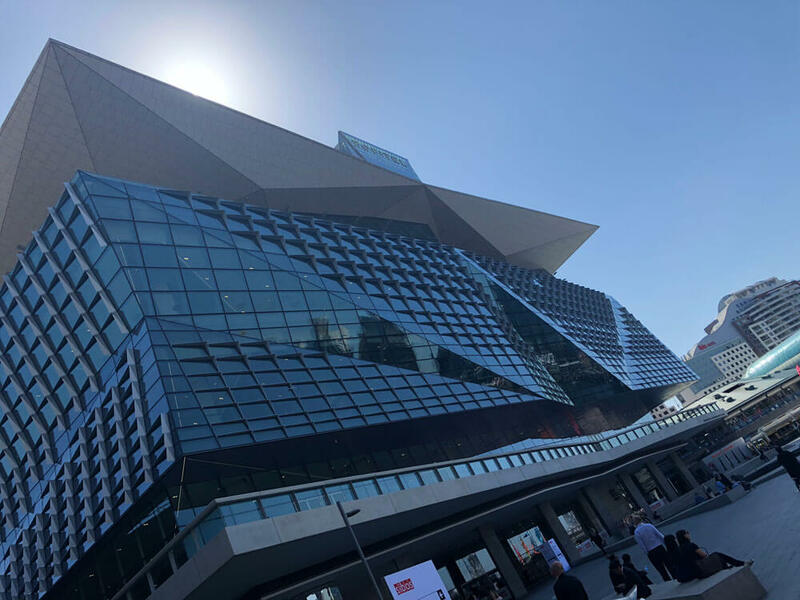 MWC Shanghai exhibition will spotlight the leading technologies, products and services that are shaping the mobile industry, from network infrastructure to mobile handsets and devices to software and applications. During these three days CreditPilot's representatives will be joining more than 550 companies and 60000 attendees who will gather to share ideas impacting the industry, creating a better future with a lot of new possibilities. If you are interesterd in Mobile Financial Services, financial VAS - you are welcome to see us at booth N2 B30. CreditPilot PLC participated as an Associate Sponsor and an Exhibitor at the MVNOs WORLD CONGRESS 2018, held 23-26 April, 2018 in Madrid. The Congress is the ultimate meeting place for the global MVNO community to do business, where the innovators and disruptors in the telecom space from 80 different countries come together to unite, expand and enable the MVNO sector. 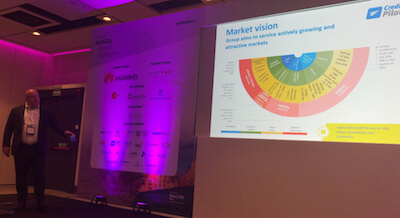 MVNOs WORLD CONGRESS 2018 provided a great opportunity to CreditPilot PLC to identify common issues and discuss solutions with MVNOs and MVNEs in order to maximize profit while increasing customer satisfaction through effective service. Financial VAS for telecoms presented by CreditPilot PLC at the exhibition offering significant increase of ARPU, and decreasing churn proved itself to be very attractive to industry participants present at the event. CreditPilot PLC is a Cyprus based Holding Company operating FinTech and regulated (BFSI) assets. CreditPilot’s Any2Any platform is designed specifically for MNOs and MVNOs to provide financial services to their end-users. The platform combines an understanding of mobile networks and their underlying technologies with the technologies, legal frameworks and business processes of banks and other financial institutes. This is combined with CreditPilot’s experience and understanding of how end users work with Financial VAS, thanks to several substantial deployments at major MNOs. The suite of products on the Any2Any platform is distinguished by a common thread; offering the Mobile Operator’s customers the means to securely initiate and control the flow of funds from a range of accounts towards 3rd parties. Roll-out timing varies according to the configuration requested, typically, operational core system will be delivered to client within 2 month. Lambros Soteriou is a partner at leading & international law firm. He is the Head of the Corporate Department at the firm’s Nicosia and Limassol offices. Lambros has more than ten years’ experience in giving advice to corporate entities, investors and financial institutions in relation to inbound and outbound investments. His recent portfolio includes transactions in the real estate, financial services, energy, infrastructure and transport sectors. Entrepreneur with significant executive experience in Banking and Finance sector, including payment processing, card acquiring, money remittance and banking. Expertise in IT resulted in a number of successful FinTech business launched both for B2B and B2C. For more than 7 years — delivers B2B2C fin-tech solutions to the market. Mr. Akritidis earned his B.Sc. degree in International Economics and Management from Otto-Von-Guericke University Magdeburg in Germany. He is an Associate of the Institute of Chartered Accountants in England and Wales (ACA) with a profound knowledge in auditing of financial institutions. A banker by profession, he has held a number of high-level positions and directorships in number of banking institutions in Europe, Russia and the Caribbean. Mr. Akritidis has actively participated as a consultant of banks since the commencement of their operations and even before that, during the operational and organizational structuring. Renato is an entrepreneur, consultant, expert in Telecommunications products and services. With the experience of working closely with major telecom operators such as Telefonica, Orange, Vodafone, TIM, China Unicom, Hutchinson, America Moviles and many others, as well as the living experience of deploying solutions in all continents, Renato's network spans the globe. Working globally also allows Renato to foresee trends, pioneering several of the now mass market products vital in the industry. Mr. Christodoulides earned his BSc degree in Accounting and Finance from Lancaster University in United Kingdom. He is an Associate member of the Institute of Chartered Accountants in England & Wales (ICAEW), of the Institute of Certified Public Accountants of Cyprus (ICPAC) and of the Institute of Internal Auditors Cyprus (IIA Cyprus)) with extensive auditing experience. His strong financial background and his professional skills and experience lead him to held a number of high-level positions at KPMG in Cyprus and in Russia (one of the largest professional services companies in the world and one of the Big Four auditors). 10+ years of experience in payments and telecommunications. Head of Electronic Payments at Tele 2 Russia (2010-2017) where he built up the new department from scratch. Deputy CEO (HR) at Qiwi (2006-2008) where he was in charge for forming and hiring teams for the chain of local branches. Different management roles at Mars, Inc (10 years). Holds double MSc degree in engineering and economics from KSTU (1997). Passionate IT Professional with a solid background in defining, architecting and building best-in-class IT infrastructures and services. Ability to align with business critical initiatives and work with businesses on enterprise wide strategies. Reputation for engaging high performance teams to deliver cost efficient solutions, yield efficiency improvements and maximize technology investment. Always in the frontline with industry’s latest IT developments, taking up the most complex challenges and merging business with technology as it is required by the latest trends. Worked with a number of startup companies and countless businesses that needed a technological facelift. Mr. Kyriakou studied Banking and Finance in American Institute of Bankers and he earned his MBA from the Mediterranean Institute of Management. He is Certified Anti-Money Laundering Specialist (ACAMS) and member of the Chartered Institute for Securities & Investment (CISI). He has long track record of successfully evaluating compliance issues and exceptional grasp of procedures, regulations, guidelines, law and policies governing the banking and the investment industry. Mr. Kyriakou is experience in international companies, legal arrangements (Trusts, Foundations), complex business structures, complex business transactions and complex ownership structures. Over 20 years successful experience providing fiscal, strategic and operations leadership in uniquely challenging situations in China and Asia. Dynamic, results-oriented leader with solid experience in financial management, manufacturing development, providing data Centre and telecom related services. Proven track record of performance in building up sales networks throughout Mainland China and Asia for turnaround and new organizations. Utilize keen analysis and insights to drive organizational improvements and implementation of best practices. Talent for proactively identifying and resolving multiple and complex issues. Familiar with the chinese Government policies through extensive liaisons with China officials. Good political connections developed as a selected member of the China People’s Political Consultative Committee(CPPCC), thus enabling the ability to foresee future China polices. Pius has more than 25 years of experience in the IT & Telecommunication businesses, and data center operations. He is now a Senior Partner in a Hong Kong based investment banking boutique firm. Pius has extensive experience in Pre-IPO Restructuring, Mergers and Acquisitions, Corporate Rescues and Turnaround, Strategic Advisory, and Investor Relations services to growth companies. He is a strong leader with wide experience in setting up profitable companies in the USA, China and Europe. He holds a master's degree in Economics and Finance from SUNY - Binghamton University with a full scholarship.